As our way of saying "Thank You" for your order, we will include a gift from these lovely recent introductions. 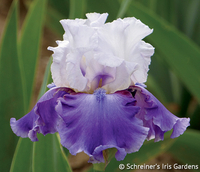 This year's possible BONUS Iris are pictured here. 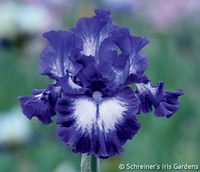 When you are ready to proceed to checkout, if the total of regularly-priced Iris in your shopping cart reaches the minimums described below, you will be directed to a page on which you can choose your bonus plant(s). 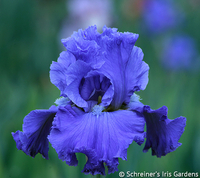 Receive FIVE for your Iris order of $300 or more! 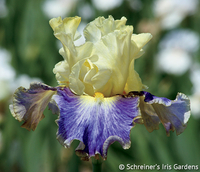 NOTE: This amount is based on the regularly-priced Iris and Summer Sale Iris order total, excluding the cost of Siberian Iris, Louisiana Iris, Japanese Iris, Daylilies and non-plant items (for example, gift certificates, fertilizer, books, or shipping costs). Bonuses are limited to stock on hand, and may be substituted at our discretion. 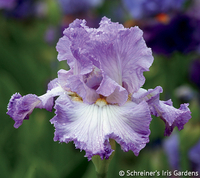 Clearance priced Iris are NOT eligible for bonus Iris.